Tom Halls from British Tennis has two goals, getting people to play tennis and getting fans to attend events like Davis Cup. Sean Callanan chats with Tom the head of digital for Lawn Tennis Association on how digital can deliver both objectives. What does the Lawn Tennis Association do? Send Tom a tweet that you listened (or just read this post). Are you networking for your next job even though you have one now? 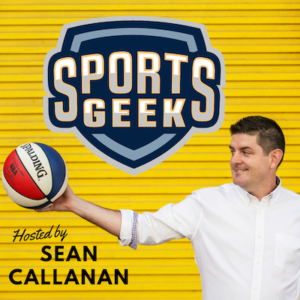 Connect with Sean Callanan on Linkedin if you haven't already or follow Sports Geek on Linkedin. Great production values and excellent digital marketing insights explored within a sporting world context.